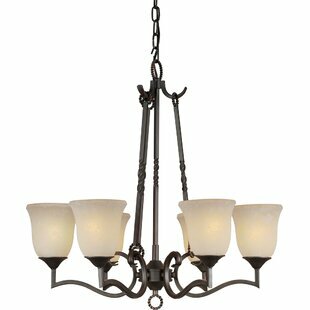 Matte opal glass sitting atop the graceful curving arms give this collection its transitional style. 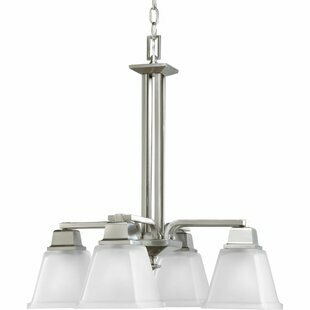 The brushed nickel finish is perfectly paired with matte opal glass to complete this up-to-date family of fixtures. 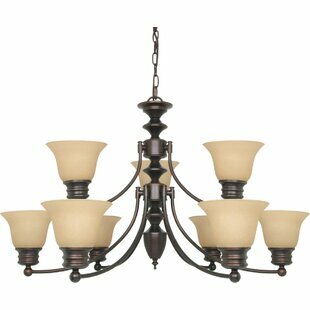 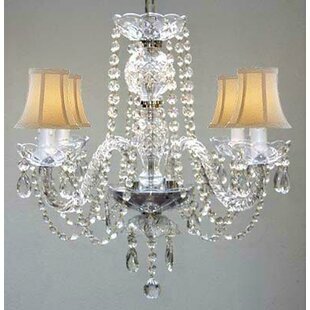 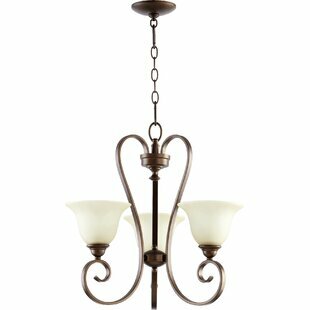 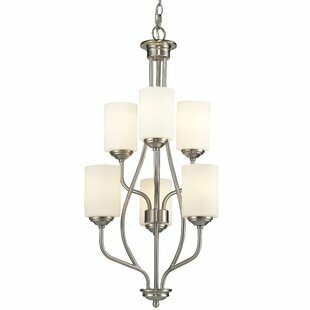 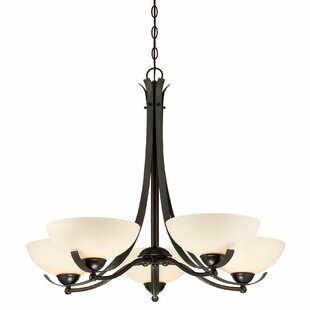 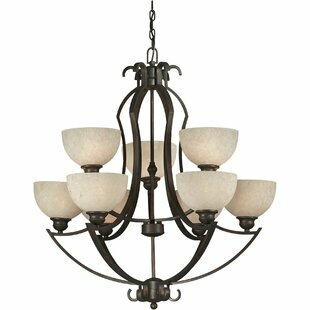 Number of Lights: 6 Fixture Design: Shaded Chandelier Adjustable Hanging Length: Yes Fixture: 33 H x 18 W x 18 D Overall Weight: 10.6lb.